On Tuesday just after midnight U.S. Eastern time, the Trump administration is set to bring back a first wave of restrictions that had been waived under the Iran nuclear deal, an Obama-era agreement that gave Iran sanctions relief in exchange for curbs on its nuclear program. The new sanctions limit dealings in Iran’s currency and with its automotive industry. They also threaten U.S. penalties for banks that finance the precious-metals trade with Iran and against anyone who sells precious metals to the Iranian government. 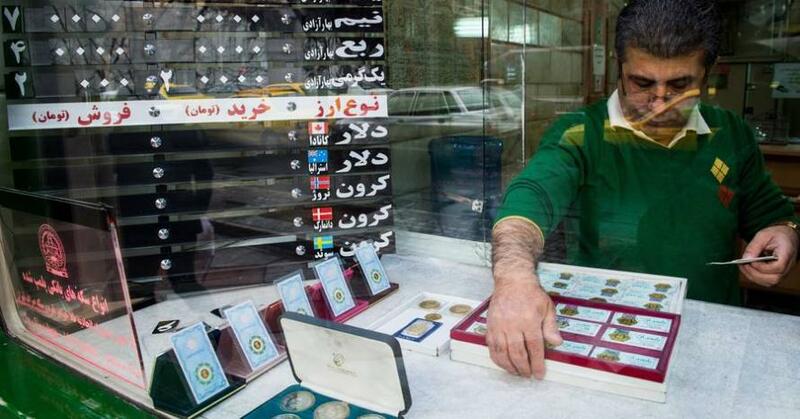 And, as The Wall Street Journal reports, worries about a shaky economy and enticed by government sales of gold coins, Iranians have converted savings into gold recently even as prices skyrocketed. 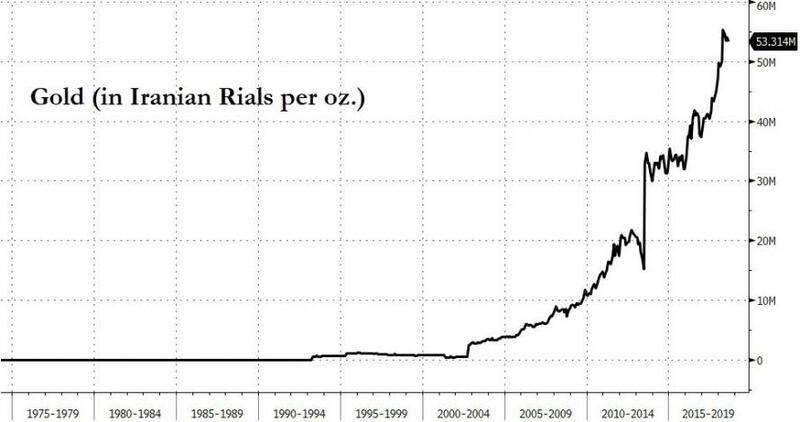 And this has sparked panic among Iranians, as The Wall Street Journal reports they are hoarding gold as a safeguard against a collapsing local currency and soaring cost of living pushing the metal’s price to records in Tehran. 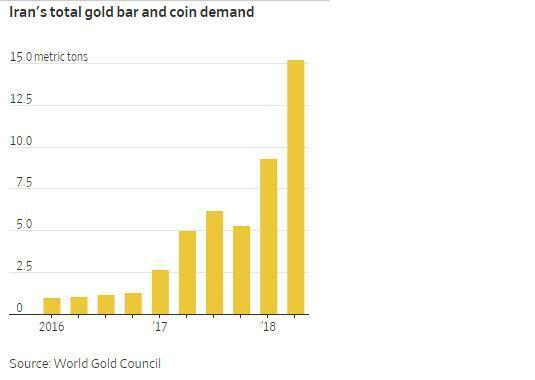 "People are changing their money into gold because it’s a reliable investment commodity,” said Mohammad Kashtiaray, the head of gold and jewelry committee under Iran’s Chamber of Guilds, a coalition of merchants. Demand for gold bars and coins in Iran tripled year-over-year in the second quarter to about 15 metric tons, according to a World Gold Council report on Thursday. Iran’s central bank has minted hundreds of thousands of new coins - more than 60 tons of gold in total - to feed the demand. The move has had little impact beyond stoking more demand for the metal. Gold prices in the country are soaring above 'fair value' as WSJ notes, people have lined up outside banks this year to place advance orders for Emami coins in central bank auctions, where they are often priced at lower-than-market rates. The price of an Emami, a central bank-minted gold coin weighing 8.13 grams, stood at around 36 million rials on Sunday, more than double its price in January. It had hit a record of more than 45 million rials a week ago. The demand for gold in Iran is also bucking a shaky picture globally; spot gold prices have fallen by about 6% this year to about $1,200 an ounce. Demand for gold has been so resilient that prices are outpacing even the rial’s historic depreciation against the dollar. After factoring out fluctuations in the rial, the price of an Emami coin went from $346 in January to $379 today, a 9.5% rise. With prices near records, many people said they were buying only because they had to do so. A computer engineer who identified himself as Mr. Bani said he was shopping for a set of bridal jewelry. 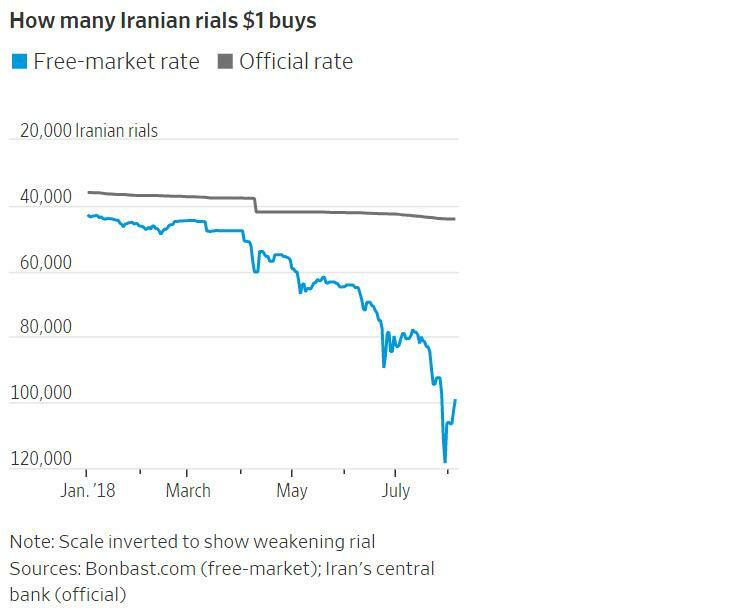 And all of this is happening despite Iranian authorities attempts to put the brakes on gold prices including turning their focus to prosecuting people who allegedly are hoarding coins in an effort to keep prices high.